Once you’ve entered your 50s, purchasing life insurance can get a little complicated and may require special guidance from a seasoned insurance agent. The general life insurance advice you find online or hear from friends and family may no longer apply to you since a lot of information available is tailored to a perfectly healthy 35-year-old (or similar). At Term Life Advice, our agents are well-versed in helping clients who are aged 50 and older find affordable life insurance that meets all their needs. We’ll help you navigate the important considerations for life insurance in your 50s—after all, this will likely be the last policy you purchase, so it’s important to get it right. We can give you personalized life insurance advice based on your own specific situation, but for now, here’s what you need to know about buying life insurance in your 50s. You might be thinking, “I’ve made it this far without life insurance, why purchase it now?” Truthfully, as you grow older, life insurance becomes even more essential to keeping your family financially secure if anything should happen to you. You’re still working and want to leave your spouse, partner, or children a death benefit if you pass while they’re still relying on the income you currently bring in. You may need to add liquidity to an estate filled with real estate or business holdings, or you may need the insurance to pay for estate taxes. If you choose the right policy, life insurance will give you the opportunity to leave something to your family, no matter how old you are when you pass. The bonus with using life insurance for inheritance purposes is that it’s extremely tax efficient and relatively low cost. You may want to cover outstanding business expenses, responsibilities, and obligations so you don’t leave your business partner or employees in the lurch should anything happen to you. Life insurance is commonly used to fund an AB or Bypass Trust, or an Irrevocable Life Insurance Trust. Because we have so much experience in working with clients aged 50-59, our agents know what challenges to expect when looking for life insurance at that age. It’s a unique age range that comes with special considerations that will affect the type and cost of coverage available to you. For younger clients, health rarely gets in the way of finding affordable life insurance. However, when our clients are in their 50s, their health begins to deteriorate and this can become an issue. These potential issues can be easily overcome if you’re using an experienced, independent agent to help you find your life insurance coverage. You see, every life insurance company weighs health concerns differently; some are more lenient with illnesses or conditions than others. 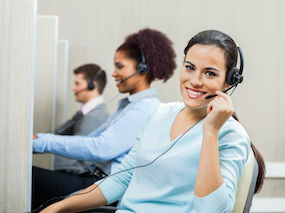 Because Term Life Advice agents are wholly independent, we can shop around for the company that will be best for your particular health concerns. So whether you’re a healthy non-smoker, or have a preexisting medical condition like diabetes, obesity, or heart problems, we can help you find the most affordable coverage with a top-rated insurance company. Many life insurance companies have maximum age limits for every term policy they sell. For example, for most companies, the maximum age you can purchase a 30-year term is 55 years old (although we do have access to at least one company that will sell a 30-year term up to age 57). If you’re still in your early 50s, you can still get a 30-year term, but if you’re 58, for instance, it’s no longer an option. There are ways around this issue, though. You can use a similar life insurance product called a guaranteed universal life insurance policy to make sure you are insured and covered to age 90 or later. With GUL policies, pricing is very competitive and often less than half the price of traditional whole life policies so they still remain a practical and affordable option. Before you decide on the type of policy you need, you really need to anticipate how long you’ll need coverage for. It’s better to purchase a longer term and be covered for that length of time, than purchase a short term policy (for 10 or 15 years), have it expire, and then try to purchase another policy when you’re in your 60s or 70s. At that age, life insurance becomes substantially more expensive and options are extremely limited (assuming you can even still qualify). If you just want life insurance to replace any lost income, you may not need long-term coverage because a term that gets you to retirement age will do the trick—and cost less. If you’re in your early fifties, specifically between ages 51 and 54 years, there are some special considerations for you to navigate. When you’re in your 50s, you’ve probably built up some equity in your home (and may even be close to paying off your mortgage). You’ve probably paid down substantial debts like student loans. Your children have grown up and might be in the process of completing their education or are already off on their own supporting themselves. All this means you may not need as much life insurance as you think. It’s no secret that putting off purchasing life insurance can end up costing you thousands of dollars. That’s why we recommend you buying your life insurance now. Insurance prices begin to spike once you turn 50 years old. The price goes up about 4-6% in your 30s and 40s, but then increases about 10% every year you wait in your 50s. And if you’re in your late 50s, say 58 or 59, you can expect to pay 12% extra every year you put off buying life insurance. So if you do need long-term coverage, we recommend buying it now while you can still get the best rate available today. We once had a 52-year-old client who decided to delay his application a few months, waiting to apply until after he turned 53. In doing this, his premium for a 20-year term with $250,000 coverage went up from $592 per year to $642 per year! That’s an 8% increase! The longer you wait, the more you’ll have to pay. In order to find the best quotes for life insurance at 50, you need to have an understanding of all the different types of policies available to you. Do I want to replace lost income? What debts will my family face should I die suddenly? Do I want to leave a legacy for my spouse, children and/or grandchildren? Do I want my family covered until social security kicks in? Will I need to cover my mortgage? If you’re just looking at buying life insurance as some form of income replacement, have very few (relatively small) outstanding debts, or just to get yourself covered for the short term, then your most affordable option would be to purchase a term life insurance policy. Term life insurance is without a doubt the most convenient and affordable type of policy to buy. It offers guaranteed level premiums and death benefits for a set period of time such as 10, 20, or 30 years. After the initial term expires you do have the option to renew (without needing proof of insurability, which can be greatly beneficial if you’re older and have amassed any health problems), however, the renewal rate can be anywhere from 10-20 times the amount of the original premiums. So it’s important to lock in your insurance rates with a term that will cover you for as long as you think you’ll need coverage. With term life insurance, it’s easy to get approved for a policy if you’re a non-smoker and in relatively good health. Even if your health isn’t the best or you are a smoker, our agents will still be able to find you the most affordable rates available. So if you only need the insurance for say 10, 15, or 20 years, then term life insurance is the way to go. You can figure out the amount you need and the length of period you will need coverage for and go from there. Here are some sample rates for a 10-year term. *10 Year Level Term Life Insurance Quotes – premiums for male, nonsmoker preferred plus rates valid as of 3/13/2017 are subject to change. Some 50-year-olds need a more permanent option for their life insurance. There are several reasons you’d need to be covered for more than 30 years, even if you’re already in your 50s. In all these examples, we would recommend purchasing a guaranteed universal life insurance policy, which will cover you for your whole life (at least until age 120). It’s very similar to a term life policy—you’ll get the lowest cost without any cash value build-up. Getting approved for the best health rating is the key to finding the lowest rate for your life insurance. In working with an independent agency like Term Life Advice, we can peruse dozens of companies to find the one that will approve you at the best rate…and save you money! With that being said, here are examples of insurance rates to give you an idea of what you could end up paying. * The quotes above are monthly and assume preferred plus rates for a non-smoking male age 50, as of 3/13/2017 and are subject to change. If the insured is a woman and all else is equal, the premium would be about 35% to 40% less expensive. 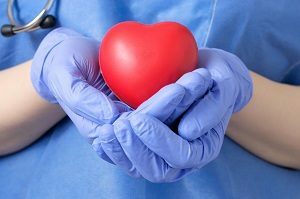 Most life insurance companies will overlook minor health issues and medications for well-controlled blood pressure, cholesterol, or mild anxiety the quote may be more expensive. If you would like an accurate quote based on your unique health profile, please call us toll-free at: 855-902-6494. With a few questions about your health and lifestyle, one of our experienced agents will be able to compare rates and options from dozens of top-rated life insurance companies. Just because you’re in your 50s, doesn’t mean you have to pay an exorbitant amount for life insurance. 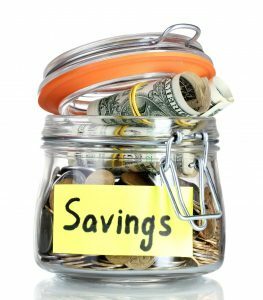 Working with experienced and independent insurance agents like Term Life Advice will be your best bet in saving money. Because we’re not held captive with access to only one life insurance company, we can shop around to find you the life insurance companies that are most lenient with your health conditions and sympathetic to your needs. Being able to choose from dozens of companies could potentially save you thousands of dollars. This might seem counterintuitive at first, but buying multiple policies and layering your coverage could very well save you money. You can actually save 10-15% by splitting up your coverage into two policies at different term lengths. For example: If you needed $1 million in coverage initially but will only need $500,000 30 years from now, you can layer your coverage to account for both amounts. Instead of buying one policy for 30 years, purchase $500,000 policy at a 15-year term and another $500,000 policy with a 30-year term. When you no longer need $1 million in coverage and your 15-year term policy expires, you’ll still be covered for $500,000—and subsequently paying much less. Choosing a yearly payout of your death benefit can save you 5-40% on the cost of your premiums! 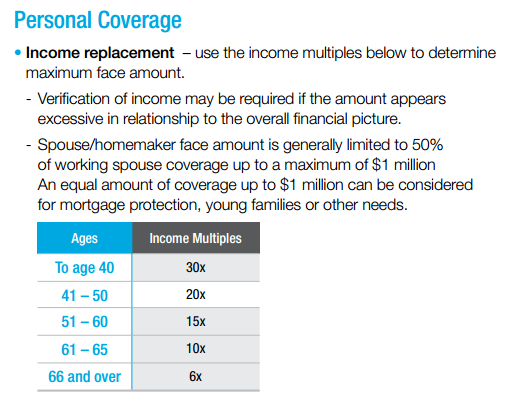 This option is especially beneficial if you plan on using your life insurance as an income replacement; your family will receive yearly payouts (over 5, 10, 15, or even 20 years) that would mimic the way your actual income comes in. For example: With one of our carriers, it costs about 15% less to have $50,000 paid out per year for 10 years than to have a $500,000 lump sum paid out. Life insurance is an important decision no matter what age you’re at, and at Term Life Advice, we can help you find the best possible rates well into your 50s. We proudly represent more than 60 top-rated life insurance companies, so we can ensure our clients always get the best rates. Our agents don’t have quotas to meet; our only purpose is to help our clients obtain affordable life insurance from highly-rated life insurance companies. We only work with “A” or better-rated companies that are financially solid and have been selling life insurance for over 100 years. Give us a call today at 855-902-6494, or request a free insurance quote below to instantly compare rates from dozens of highly rated life insurance companies.